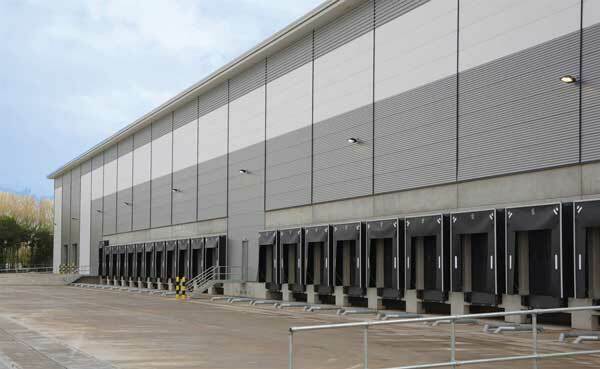 Working on behalf of main contractor McLaren Construction, Caunton Engineering has designed, supplied and erected 1,500t of structural steelwork for a new Amazon warehouse at Airport City Manchester, one of the first buildings at the flagship development. The triple span portal-framed building, with hit-and-miss valley columns, encloses 24,000m² of floor space. In addition, Amazon has extended the floor space with two internal mezzanine levels. The development is situated on a prime location just off the M56 near Manchester Airport, offering good connections both regionally and internationally. Airport City is a £100M logistics hub at Manchester Airport that will create in excess of 1,800 jobs. As well as distribution centres, the scheme will eventually include a number of other steel structures including retail buildings, office blocks and light industrial warehouses. The new buildings will all be designed and constructed to the highest possible BREEAM and LEED environmental standards, according to the developer, Manchester Airport Group [MAG].